Accounting for Non Accounting Students is the perfect addition if you need to grasp the fundamentals of financial and management accounting. This book assumes no previous accounting knowledge, and with its clear writing style, combined with real world examples, it offers what you need to help you advance in your studies. 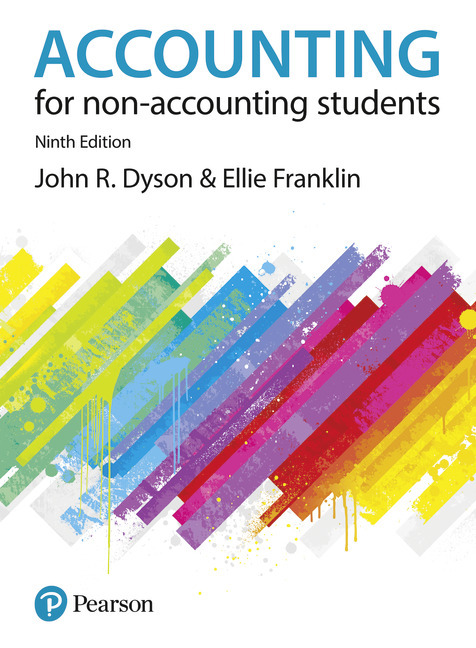 Alongside the book, you can visit the new Accounting for Non-Accounting Students companion website at www.pearsoned.co.uk/dyson to access a comprehensive range of student-learning resources, including additional questions, web links for further reading and a glossary of key terms.